How Far is Renvi Brundavan Colony? Renvi infrastructure proudly presents its signature venture brundavan colony at nadargul village. The fast developing nadargul area offers customers pollution free and nature friendly environment for healthy living, Brundavan colony is centrally located just 5 mins drive away from b.N. Reddy nagar, Hyderabad. 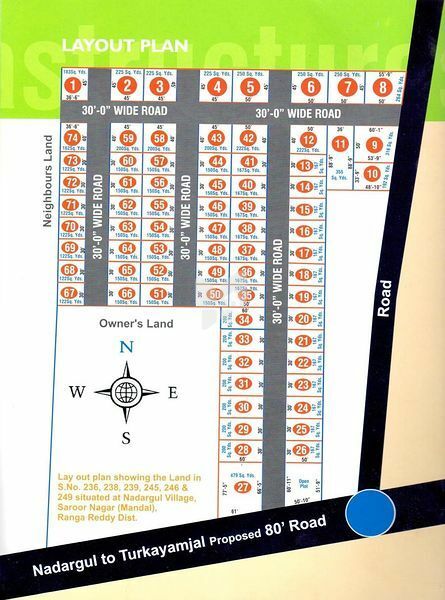 The project offers you choice of plots with all modern amenities at very affordable prices to suit your budget. With abundant greenery and open spaces, Provides you a pleasant lifestyle option with everything in easy reach.